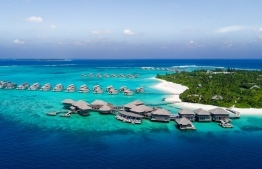 Maldives Association of Travel Agents and Tour Operators (MATATO) is set to take part in the ‘Riyadh Travel Fair’. This is the one biggest travel expo held in Riyadh Saudi Arabia with many countries from the region in attendance. The fair will begin on March 20 and will continue until March 22. MATATO has opened for those working in the tourism industry to take part in the fair. In addition to providing information on various products of the tourism industry, investment opportunities will be available from the fair. Tourist arrivals from the Middle-East have dramatically increased over the past four years. Riyadh is Middle-East’s richest economy and is ranked 80th among the world's richest cities.